He didn’t just shake up ice fishing. He transformed the sport so completely that fundamental change of magnitude will never happen again. His name is Dave Genz, and he drove the modern ice fishing revolution. For the first time, hear the whole story, through his eyes, tracing the timeline 60 years into the past... all the way forward to today. The story itself in compelling. But there’s something else here. As you read, you’ll pick up all the elements, all the refinement, that make up the Winter Fishing System. 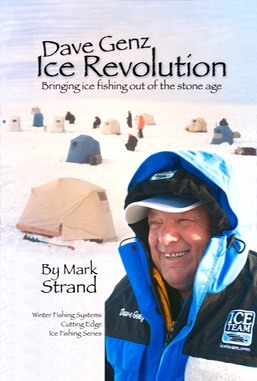 Make it to the end and you will understand what it takes to catch fish through the ice, no matter where ice forms. That’s what this book and Dave’s Hall of Fame career, are all about.